Your adventure in the Caribbean's most celebrated city includes colonial architecture, salsa dancing with the locals, and mingling with Cuban artists. 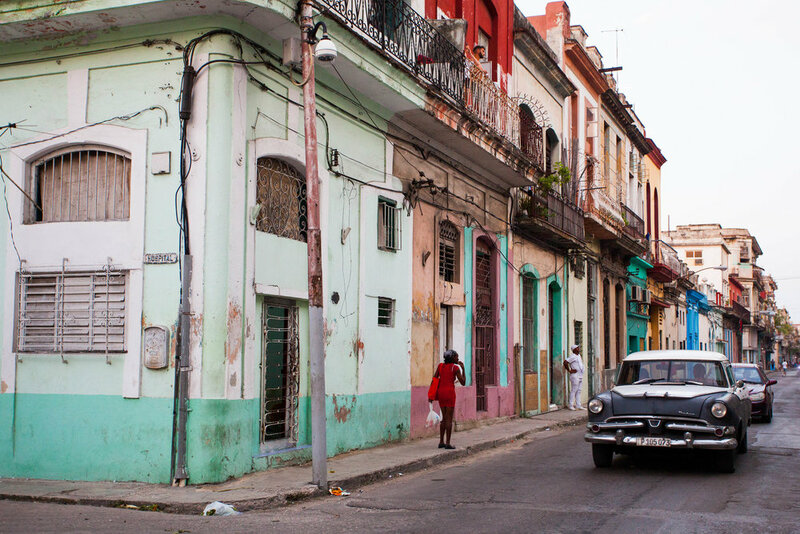 And if something unexpected pops up (it will), we may just steer from the itinerary and into a whole new adventure - that's just how it goes in Old Havana. From Havana, we’ll travel to the UNESCO World Heritage town of Trinidad where you’ll wander the charming cobblestone streets and lose yourself in the beautiful vistas of the Escambray mountains. Come and experience the warmth and color of Cuba with us! Day 1 Havana: Welcome to Cuba! DAY 3 TRINIDAD: Road Trip! DAY 5 VARADERO: Beach time!